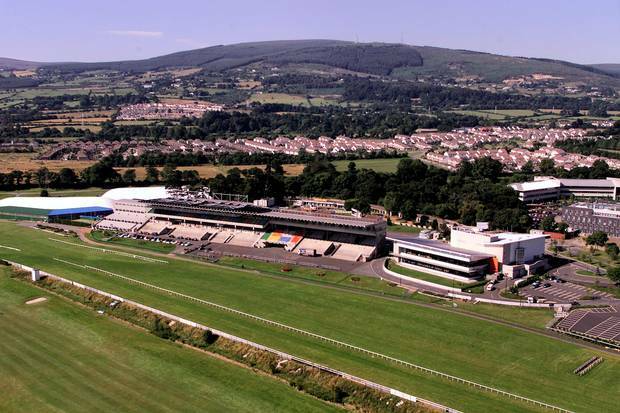 Leopardstown Racecourse is based about 5 miles south of Dublin, and when it was originally built it was based on Sandown Racecourse in England. It is second in importance to only the Curragh in Ireland. The Leopardstown course is a wide, left-handed oval track, about a mile and three quarters in length. 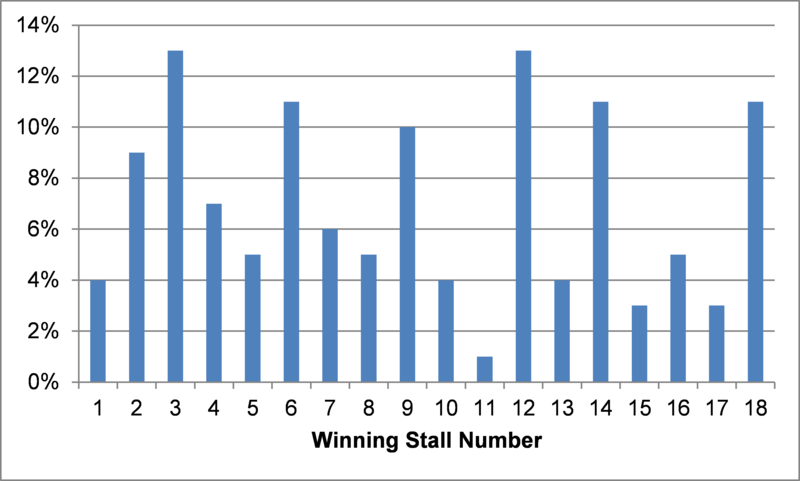 The course is fairly level with easy turns except for a slight rise from the last bend to the winning line. The first thing to say is that their are very few 6 furlong races at Leopardstown. So the above graph does not contain many races. Therefore I would not be comfortable in drawing any conclusions from it. 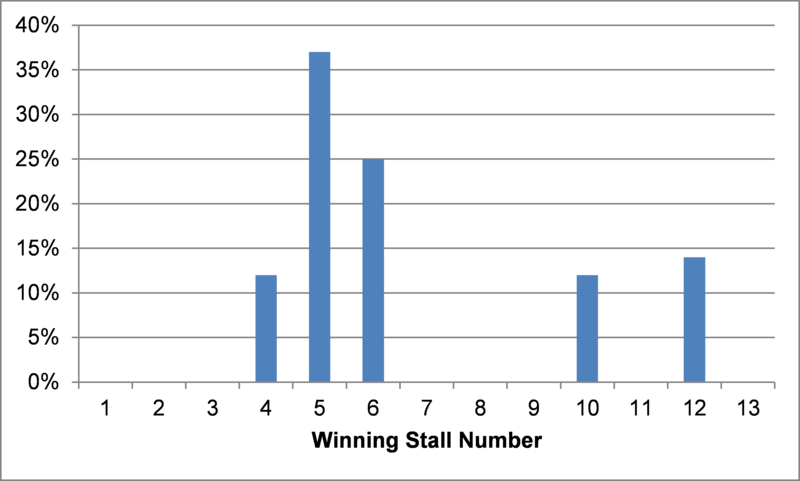 However it is perceived that when the ground gets soft that high drawn runners are actually favoured over both 5 and 6 furlongs. Low drawn runners are maybe slightly favoured but in reality there is little in it. 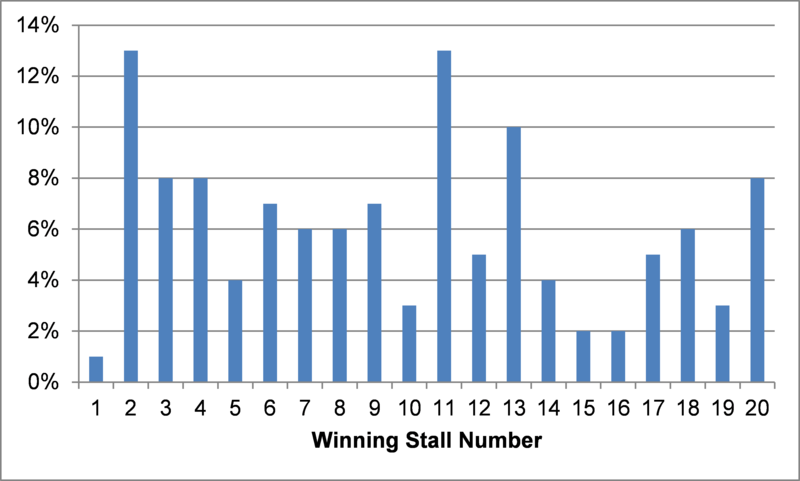 Like the 7 Furlong analysis low is probably slightly favoured but the drawbias is small.